We are interested in the acquisition of properties that stood out internationally through publishing, television, movies or merchandising. Adaptation and conceptual development of properties in order to produce television series and/or feature film in 2D/3D animation or fiction. 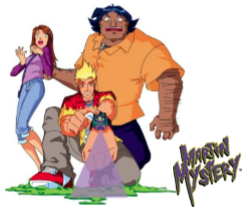 We offer a variety of programs for youth and family, including internationally successful TV series Totally Spies and Martin Mystery. Linking creativity and experience as much conceptually as administratively, Sylvain Viau is always on the lookout for original material and forms for new productions. We recently acquired the exclusive international rights for the successful AMOS DARAGON novel by author Bryan Perro. A full-length animation 3D film. 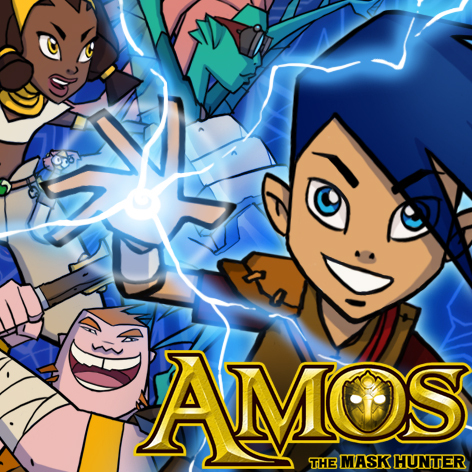 Inspired by the international best-selling novel, Amos, The Mask Hunter is a 2D-3D animated series that plunges the young audiences into a medieval fantasy universe full of magic where myths and legends come to life. 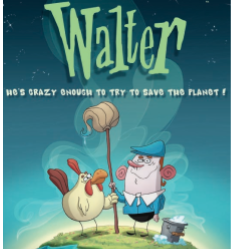 Synopsis: A light-hearted action-comedy series where environmental-themes are integrated into Walter’s adventures around the world. 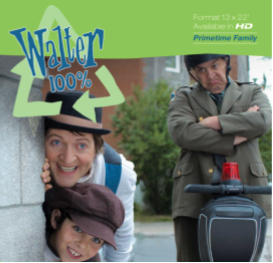 Synopsis: Walter is an endearing fellow, impulsive, headstrong, funny and naive all at the same time. 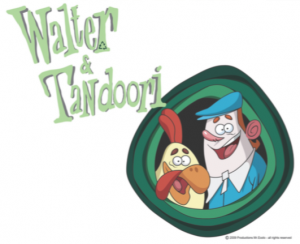 He travels the world over with his faithful sidekick Tandoori, a hyperactive chicken. The two partners rely on their outrageous imagination to overcome these pitfalls and their everyday lives become an obstacle course. Synopsis: Charming, funny, and irreverent, Walter bumbles his way through hilarious situations while trying to right environmental wrongs. A mix of Charlie Chaplin and Mr. Bean, this broad physical comedy series with special effects has a highly unusual star. A cartoon character comes to life while relying on “green” tricks up his sleeve to get out of complicated situations! 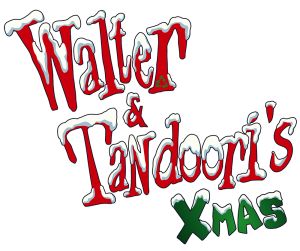 Synopsis: Walter and Tandoori the inseparable duo is about to test the bonds of friendship while trying to save their rural village from an ecological disaster… It is just before Christmas in the village of Hart’s Landing and an ominous shadow threatens the tiny town. That’s right, Bill Counter, a wealthy businessman without scruples, has a project to install a huge manufacture and retail box store right in the middle of the town. With a thousand tricks up his sleeve, nothing appears to be able to stop him. Buy, buy and always buy seem to be his favorite refrain. But after he makes friends with Walter and Tandoori, they are quick to realize the dishonest nature of this dear Bill Counter! A major challenge awaits our hero Walter. He must save the village whose quality of life is being severely tested with the help, of course, of his faithful sidekick Tandoori. 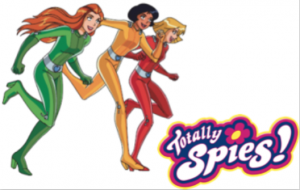 Synopsis: The series centers around the adventures of three teenage girls from Beverly Hills – Sam, Alex and Clover – who live a double life as spies working for the World Organization of Human Protection (WOOHP). The girls are recruited by the organization’s leader, Jerry, to solve worsening crime conditions that arise across the globe. Many of their missions involve dealing with disgruntled villains who have been wronged in some form during their past. Several have exacted revenge on the spies by invading their personal lives. 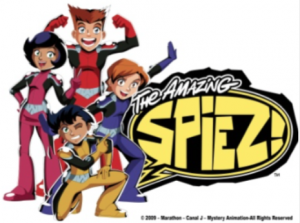 Synopsis: Four young brothers and sisters, Lee, Megan, Marc and Tony, were chosen by the World Office of Human Protection (WOOHP) to become international spies. Together, these young spies will learn to juggle between everyday life and espionage. This series is derived from the series Totally Spies! where many of the characters also meet. Synopsis: A series about a trio of young students who try to balance their regular teenage lives and their training to become Space Marshals. 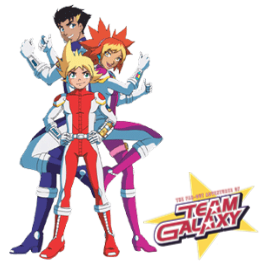 Their school called “Galaxy High”, a galactic justice authority, defends the galaxy against criminals. Synopsis: This show is about three kids and an alien girl, who are all charged with saving their town from alien invasions. 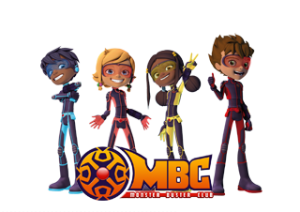 They reform a secret organization that was founded centuries ago called the Monster Buster Club, often abbreviated to MBC. The goal of the MBC is to locate alien criminals seeking refuge in Single Town, capture them, and send them to galactic authorities. With more than 15 years in management and the creation of audiovisual productions, Sylvain Viau offers his expertise as Producer, Director and Creator. In addition, Sylvain Viau offers a solid background in the management of film tax credits (cinematographic service and production) for all fiction or animation projects. For all film projects aimed at the international markets, Sylvain Viau is now in a position to offer his services as either a producer or coproducer under the “Iceworks Group” banner. A graduate in business from the Université de Sherbrooke in Quebec (BAA), Sylvain Viau has been involved in audiovisual work for over 15 years. Whether behind the camera as director or in front of it in an acting capacity, he has developed a very diversified track record in this activity sector. His passage at the department of youth and animation at Motion International (now TVA International), gave him valuable experience in planning and budget tracking for Canada/Europe television coproductions in 2D animation, highlighted by such work as the Adventures of a Fly and Fantômette. Since 2002, he has acted as executive producer for such series as Martin Mystery, Totally Spies, Team Galaxy, Monster Buster Club, Amazing Spiez, Walter & Tandoori and Walter 100%. Mr. Viau was awarded the Ernst & Young “Entrepreneur of the Year – Media and Entertainment” in 2010 and won a Gemeau Award for “Best Animated Series” in 2012 with Watler & Tandoori. He also was a laureate for the Mérite STIQ 2005 awards for having set a standard for integrating the best business practices in Quebec. Mr. Viau was also the animation representative on the Quebec Cinema/Television cluster (Bureau du Cinéma et de la Télévision du Québec (BCTQ)) and is occasionally invited as a speaker at international events. 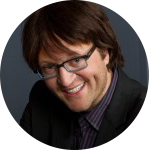 In this regard, he represented Canada at the Forum Blanc in France to discuss the new multiplatform avenues in Canada in January 2011, and in 2009, he represented Canada at Cannes and his topic was how Quebec/Canada coproductions work in the animation sector. Stay informed about Image ICC's latest projects, its presence in international markets, etc. Don’t hesitate to contact Jacinthe Bilodeau, Sales Director, for any question or inquiry. © 2017 Image Communication Conseil. All right reserved.